The wayward southern continent of Australia is famous for the strange and relictual creatures that have evolved in nearly complete isolation. The ants are no exception. Australia's ant fauna is both diverse and exceptionally abundant, with a host of species found nowhere else. 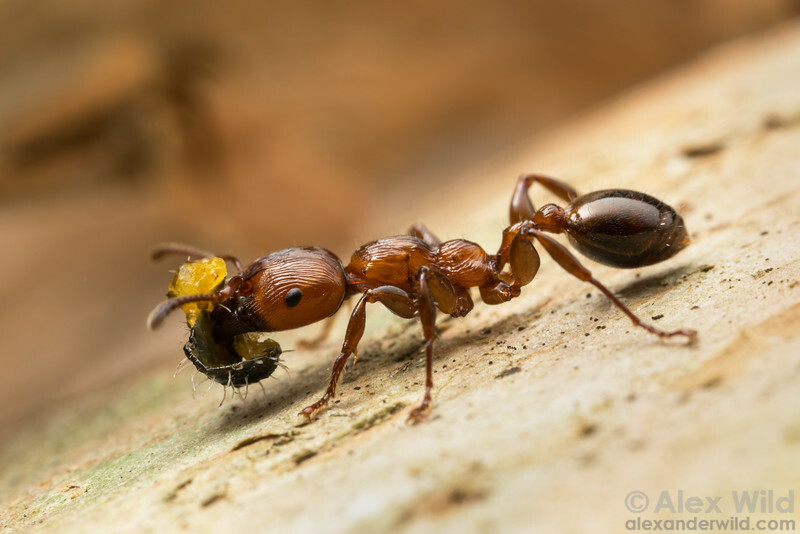 A muscleman tree ant returns to her nest with part of a fresh insect kill. Cairns, Queensland, Australia.